The vintage series of paintings, intaglio prints, and drawings were created in the 1970's and 1980's during and after attending graduate school. All art works are non-objective. 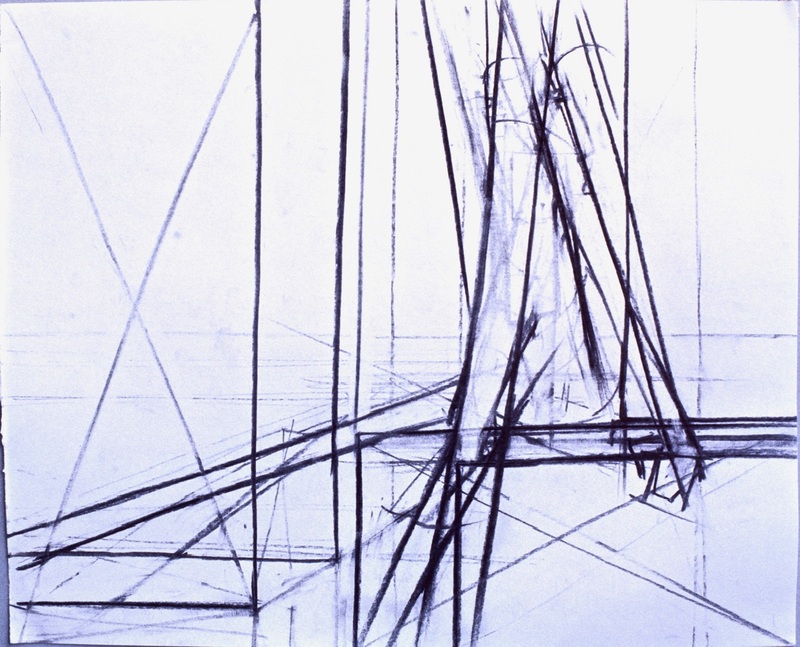 The structure of these art works show my interest in picture plane dynamics - the underpinnings, the underlying construction, the compression of foreground, mid-ground and background space. 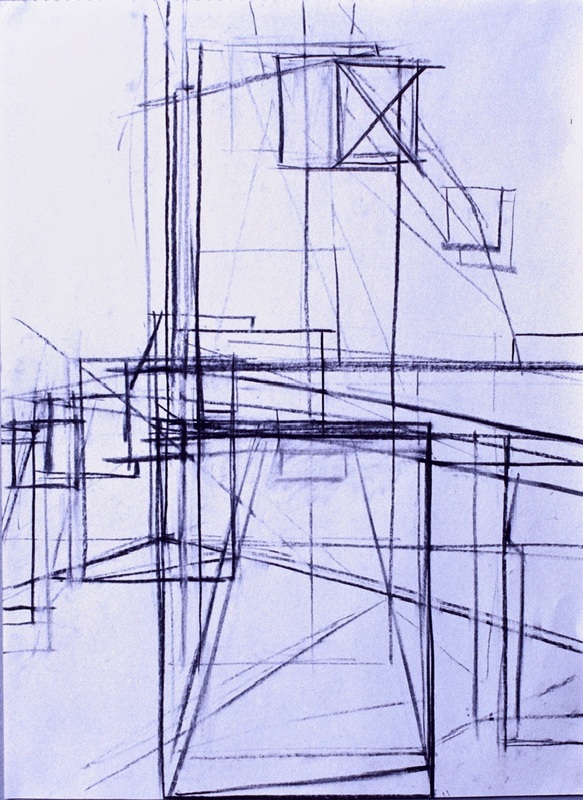 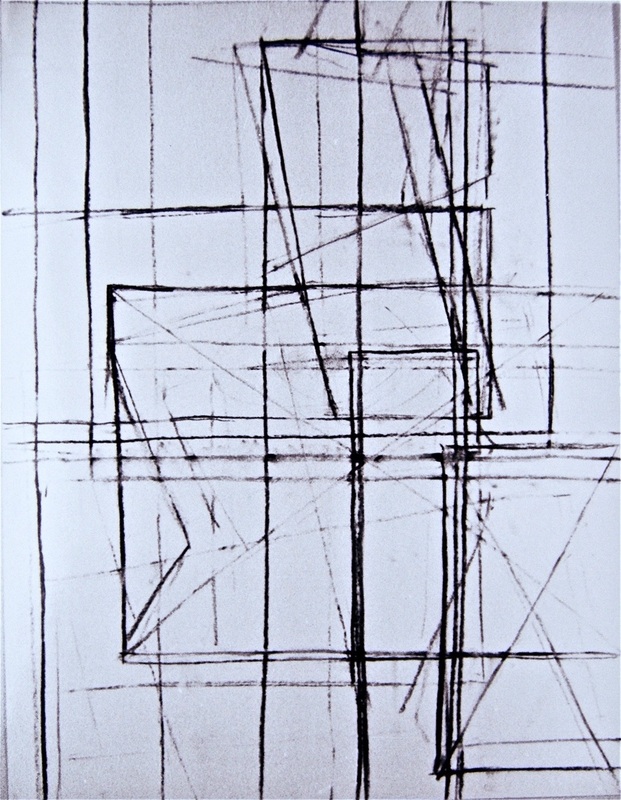 Charcoal drawings are also included to show my process of abstracting the figure and still life. Yellow Planes, 54" x 60", oil on canvas, 1977, private collection. 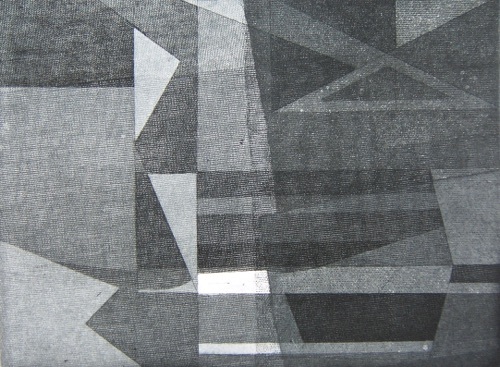 Configuration I, 9" x 12", soft ground aquatint 2-5, 1978, 1/5 private collection. 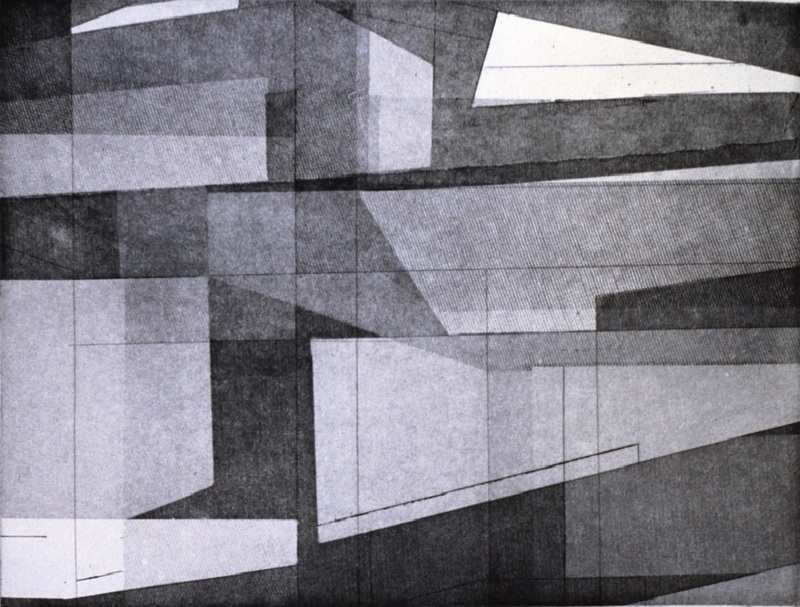 Configuration III - Working State, 9" x 12", Soft ground aquatint, 2 - 5, 1978, 1/5 SFCA collection. 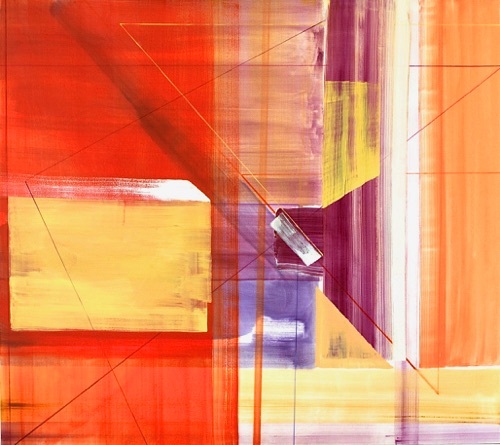 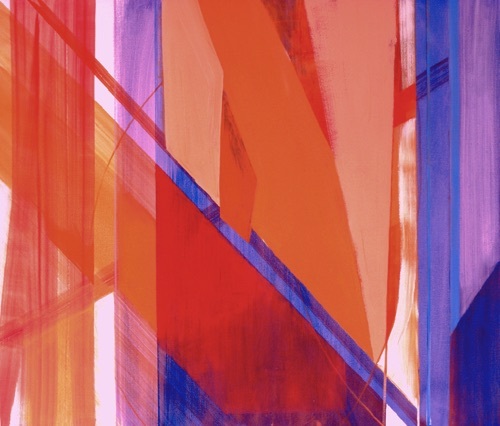 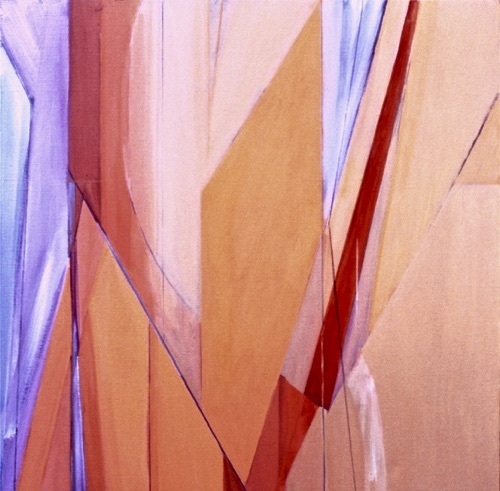 Orange Configuration, 48" x 52", oil on canvas, 1983. 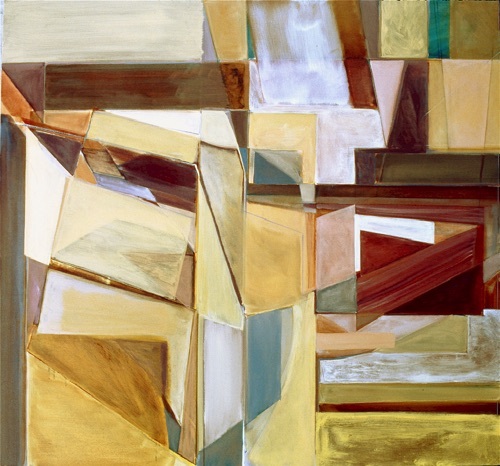 Configuration , 30" x 36", oil on canvas, 1983. 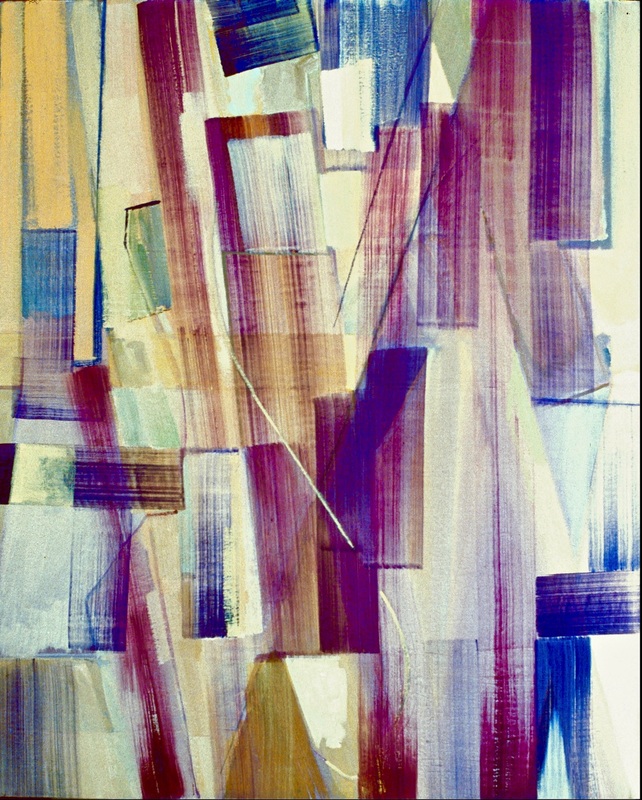 Untitled, 54" x 60", oil on canvas, 1976. 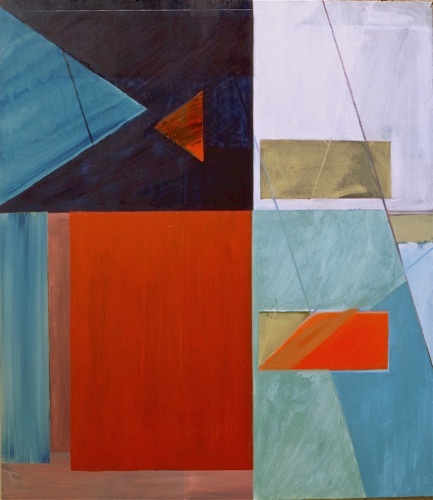 Constructivist, 48" x 48", oil on canvas, 1978, private collection. 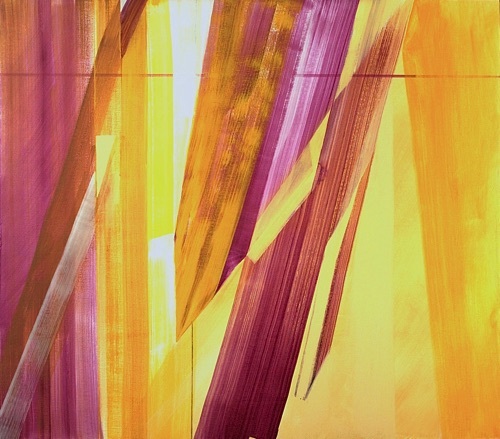 Yellow & Violet Configuration, 48" x 52", oil on canvas, 1983. Configuration II - Working State, 9" x 12", soft ground Aquatint 2-5, 1978, 1/5 private collection. Lines & Clouds, 52" x 48", oil on canvas, 1979, private collection. 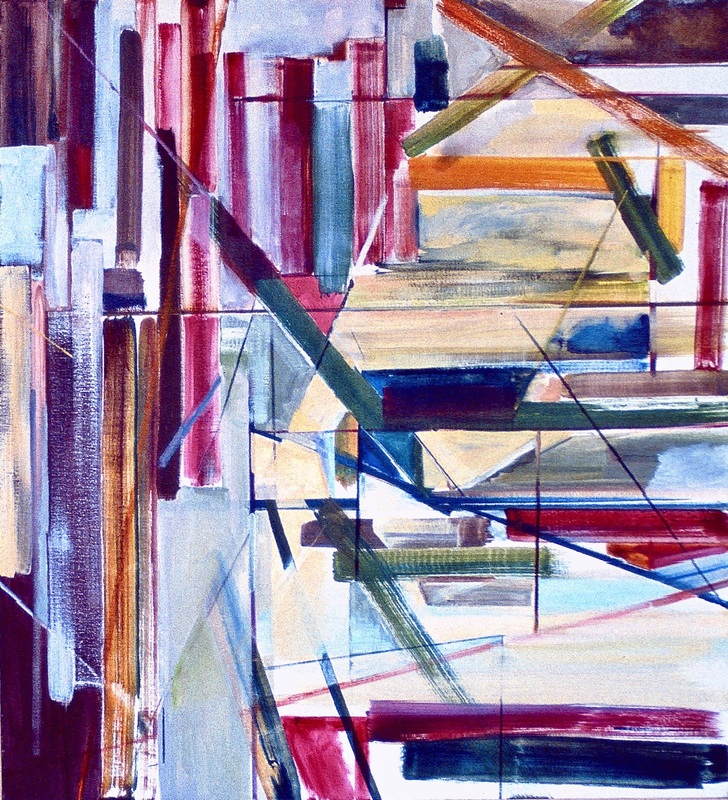 Untitled, 36" x 30", oil on canvas, 1979, private collection. 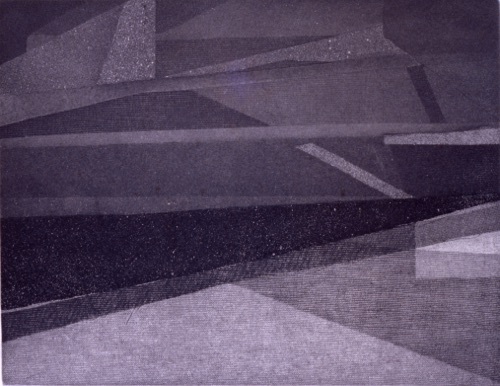 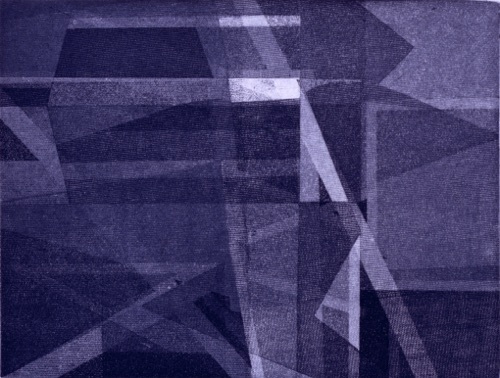 Configuration III, 9" x 12", soft ground aquatint 2-5, 1978, 1/5 private collection. 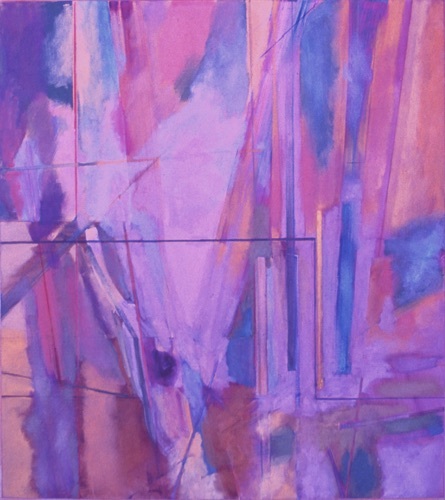 Purple & White - Interlocked, 48" x 45", oil on canvas, 1979, private collection. 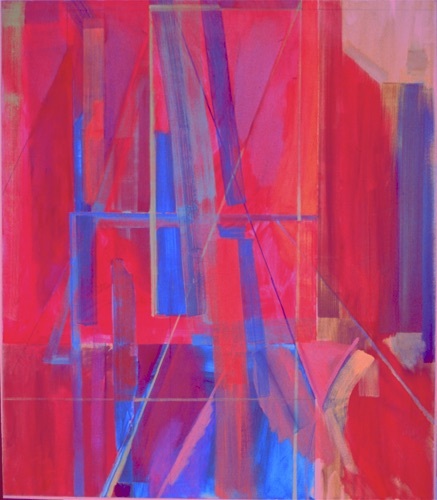 Red Painting - Inside, Outside, 60" x 54", oil on canvas, 1979, private collection. 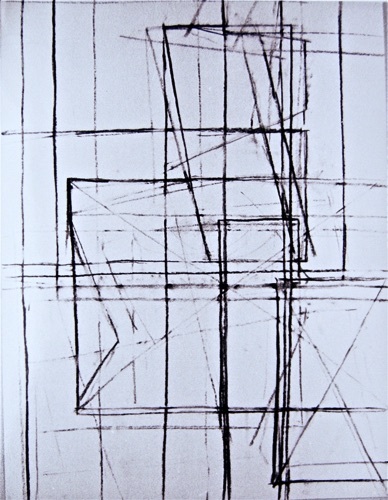 Figure Study, 24" x 18", charcoal on paper, 1978. 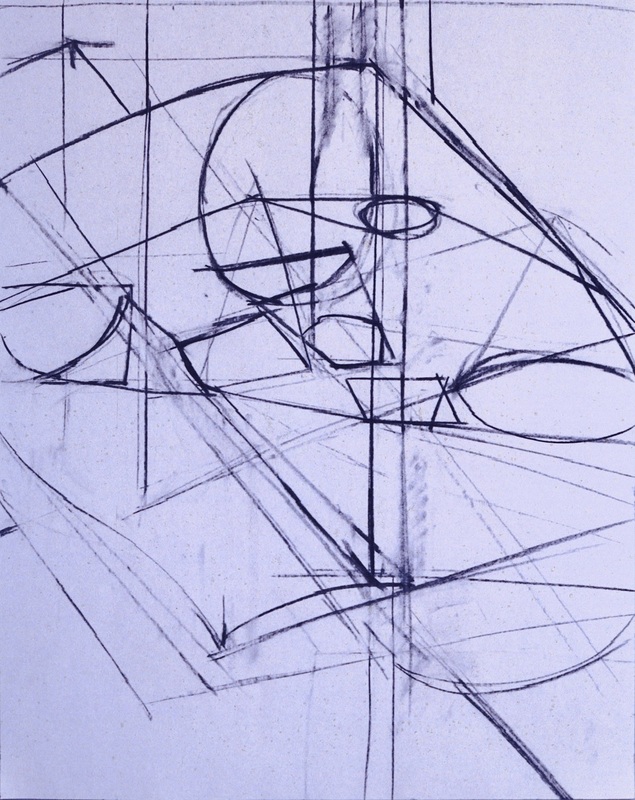 Still Life Study, 22" x 18", charcoal on paper, 1978. 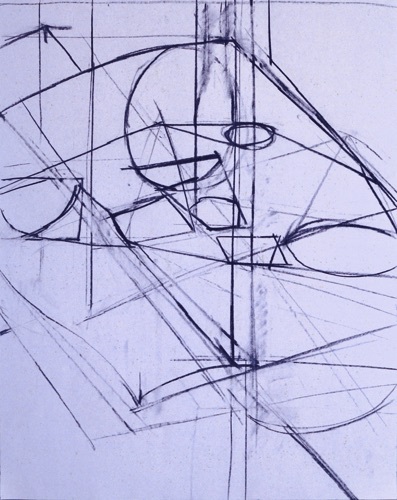 Figure Study, 18" x 22", charcoal on paper, 1978.